MyStartingLineups has a great set of features to help you manage your Starting Lineup figure collection. We provide series, team and player checklists that lists every figure that belongs to those respective series or groups. 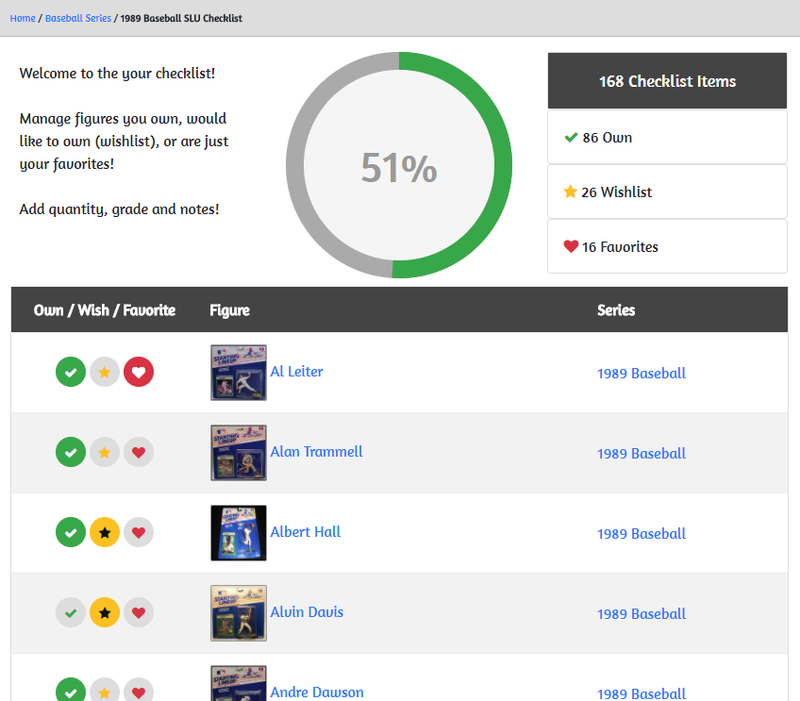 Mark as Owned This is the primary feature of checklists, this allows you to mark a figure as part of your current collection. Notice that when you mark a figure as owned, the icon status will update it's color, and if you're viewing the checklist you'll see your count and checklist completion % increase at the top of the page. Add as Favorite Another option is to additionally mark a figure as a Favorite. This is just to track which figures you like the best! Add to Wishlist As you're working to complete your checklists, or for pieces you want to add to your collection in general, you may want to add a figure to your wishlist! Registered members have the ability to update their checklists from any checklist page, as well as on a figure itself. 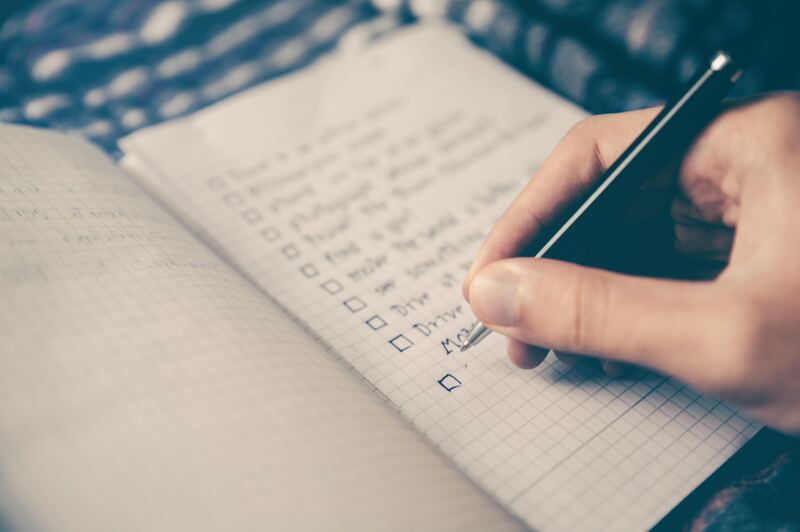 Checklists are also cross-referenced, so marking a figure owned on one checklist will carry over to any other checklist that figure is a part of. Don't forget to also check out your checklist overview page on your profile to see your overall checklist %'s! As we grow we'll continue to add more features for managing your checklists and starting lineup collections!